GE's $1 billion energy management arm, Current, is in the midst of a reorganization intended to make the business leaner. 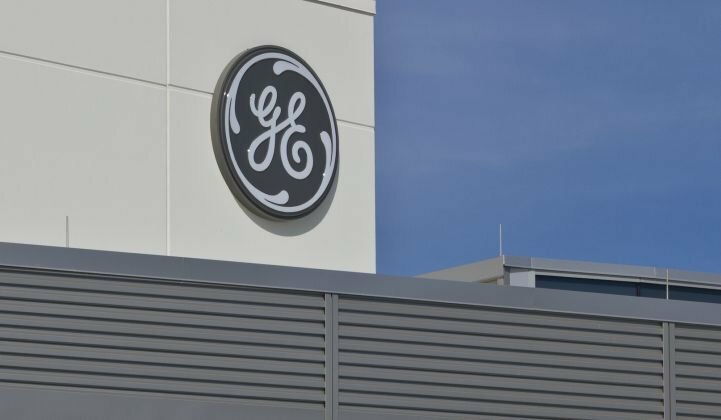 According to numerous sources who work with GE's Current or have direct knowledge about the restructuring, the company is shuffling resources in order to focus on core areas, such as lighting and analytics. Current was launched last October as a "startup" with thousands of employees that combined smart lighting, solar, EV charging, energy storage and energy management services for commercial and industrial customers. Those disparate offerings were tied together using Predix, the company's open-source "industrial internet" software. Now Current is doing what many other startups are forced to do at some point: pivot. Nikolas Noel, director of communications at Current, confirmed that "strategic organizational changes" are underway. "Like any startup, we are learning and adapting our strategy as we mature, and the changes we are making now will help us grow and scale more quickly moving forward. We are still absolutely committed to making Current a success, and we will continue investing in the business to deliver energy-efficiency outcomes for our customers," said Noel in an emailed statement. The restructuring will be ongoing into 2017, so there's no confirmation on the actual number of people impacted. Sources say the jobs impact will be in the hundreds. But it's unclear how many will people will be shifted internally and how many positions will be eliminated. When Current was established in the fall of 2015, it was billed as the future of energy management. With more C&I customers demanding a suite of resources -- from connected lighting to behind-the-meter solar and storage -- large utility holding companies and big technology firms are looking to package them all together into one offering. With Predix as the glue, GE decided to stick its many offerings together under the Current banner. However, both privately and publicly, Current has struggled to define itself. For example, the business included both energy storage and smart cities -- two very different businesses with very different sets of customers. One source said it was difficult to describe the company's mission. "There were two or three distinct versions of Current. You don't know how to tell the story." Meanwhile, the market for integrated energy services is still nascent. "We see different markets that are in different adoption phases. You can’t just create the market; the market takes time," said another energy management expert who worked with Current. Steve Propper, GTM Research's director of grid edge analysis, said that the complexities of the market can create "stumbling blocks." "It seems to speak to the challenge in communicating to the broader energy industry, in particular large corporate and industrials, the value that these broader energy management services bring to their operating bottom lines," said Propper. So what will Current 2.0 look like? The storage business will move outside Current, likely to GE's global research center. Solar will stay. The company will also put more emphasis on connectivity through lighting and its energy management software, while limiting geographies and customer classes. In April, Current acquired the connected lighting company Daintree Networks, reportedly for $77 million. Lighting will continue to play an important role as an extension of Current's digital energy business. In November, Current launched a new energy management tool based on Predix. A day later, it announced a tripling of its partner network using the software to build applications for customers. John Gordon, the chief digital officer at Current who moved over to the role last fall, described connectivity as the company's competitive advantage. “This is a key differentiator for GE and Current, and one of the reasons we’ve been able to integrate a robust portfolio of partners. And buildings are one of the most pervasive assets in the industrial world, making them a great place for every company to start their digital journey," said Gordon in a statement on GE's new partnerships. This approach will become increasingly important to Current and Current's partners. Discipline is vital to the success of any startup. That's the case for GE's billion-dollar startup too.